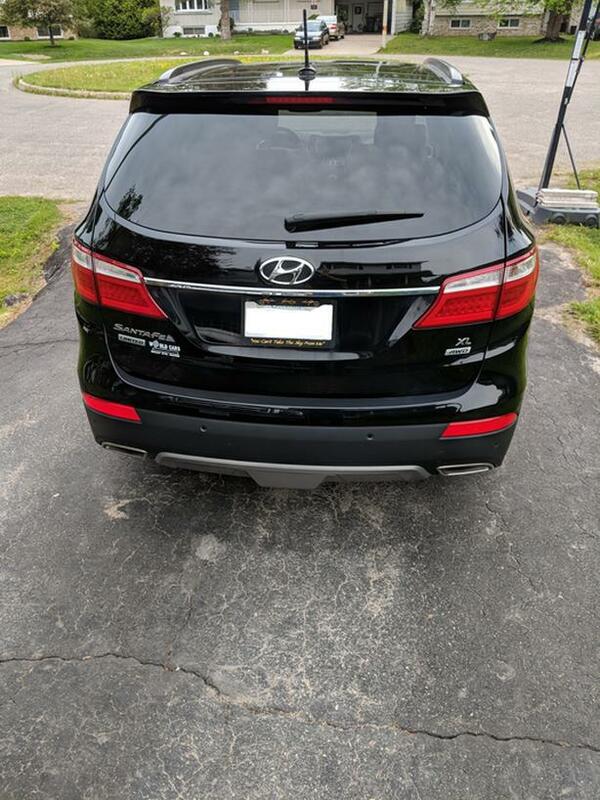 2016 Hyundai Santa Fe XL Limited INCLUDES 4 WINTER TIRES! Safety good until the end of Sept. 6 passengers (captain chairs), low mileage, 8" Display\back up camera\navigation, all around sensor, towing package, panoramic sunroof, push start button, leather seats, remote starters, smart hands-free power liftgate, heated seats (front and rear), heated steering Wheel, heated mirrors, power Windows, power locks, USB, AUX, bluetooth Audio/phone, full floor mat package, and many more options. Runs & drives perfectly, rust proofing and paint protection done for 5 years in 2016.